Oh happiest of days. Little Nanette is finally granted the responsibility of procuring the day's bread. The WEIGHTY responsibility of getting the daily baguette. En route, distractions abound—all brilliantly rhyming with our protagonist's name—as Nanette attempts to stay focused on the task at hand. Luckily she makes it to baker Juliette and starts her way home, warm and wonderful baguette in tow. But can our heroine resist the beguiling aroma of a perfect and gloriously crusty baguette ALL the way home? Will she crack under the pressure? Missing the ending in this one might be something you'll regret. ;) Ingenious rhymes and extraordinary handcrafted French village by the incomparable Mo Willems. 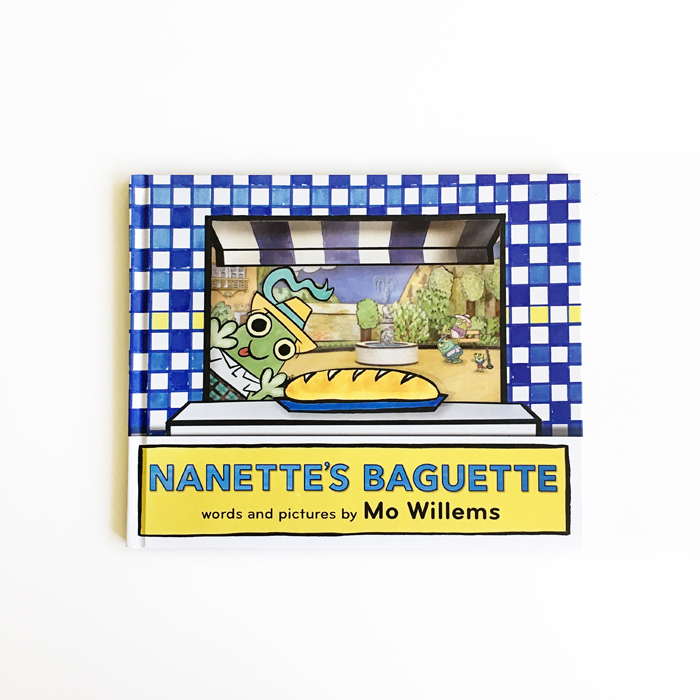 Nanette's Baguette was published by Disney Hyperion.